Friends who Count | Carol Sheldon writes books exploring times-past through mystery, love, betrayal and murder. Author Carol Sheldon with friends Teresa LeYung Ryan and Allison Pratt. I’ve been so touched by the time and energy several of my friends have invested in various aspects of helping me with my book. If you are a writer, I hope you have such support. 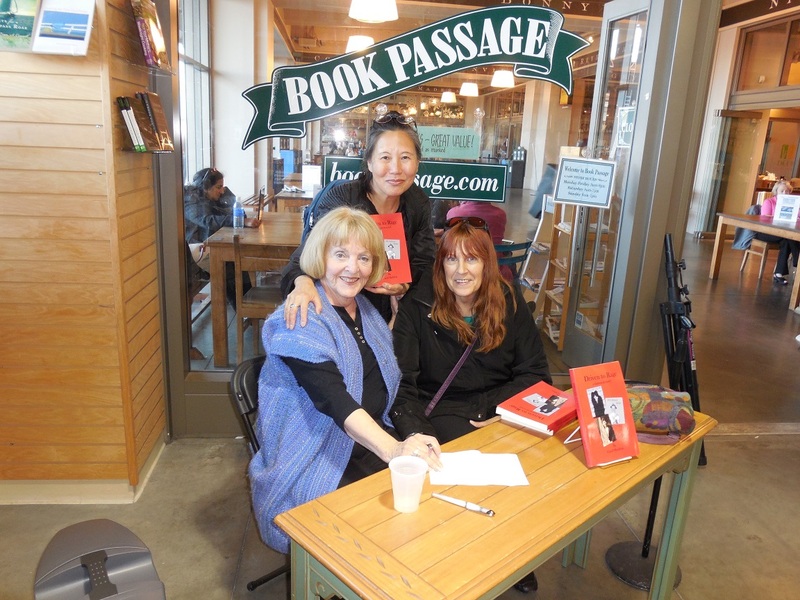 Teresa LeYung Ryan, (author of Love Made of Heart and Create your Platform in 22 Days) is with me now, helping me with social media, copying videos she made at my recent book reading at Book Passage in San Francisco, and various other tasks. Allison Pratt, helped enormously getting my text into a template with its many required fonts, taught me lots I didn’t know about computers, and did the videography for YouTube. I will acknowledge others at a further date. I’m keenly aware of all of these special friends with their unique gifts, and feel enormous gratitude to all of them. This entry was posted in Historical Fiction and tagged Allison Pratt, friends, support, Teresa LeYung Ryan. Bookmark the permalink.